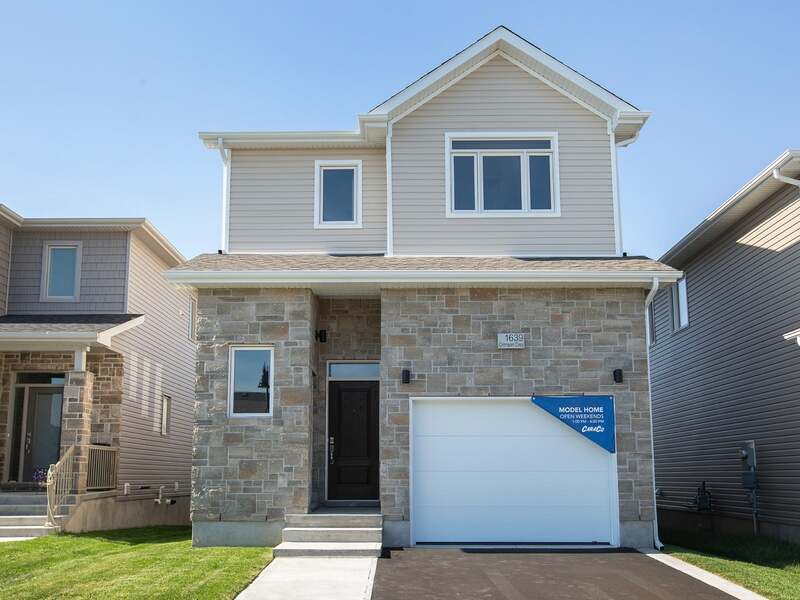 Available now in Woodhaven, this CaraCo built 'Elgin' model offers 2,300 sq/ft including fully finished secondary suite that is ready to generate income! Main unit is a 1,755 sq/ft two storey home with 3 bedrooms, 2.5 baths and bright open concept design. Large kitchen w/centre island, walk-in pantry and stainless OTR microwave. 2nd floor laundry, 3 bedrooms including large master w/walk-in closet and ensuite with 5ft tile shower. Separate entrance leads to fully finished secondary suite ! This 2nd unit offers living room, full kitchen, large bedroom and 4-piece bathroom plus separate laundry hook-up! Great income potential and/or ideally in-law arrangement. One car garage w/inside entry, HRV, on-demand hot water, separate forced air furnaces and paved driveway w/concrete walkway and curb package! Call today to arrange a private viewing. Floor Area 1,755 Sq. Ft. Lot Size 31.9 x 105.9 Sq. Ft.